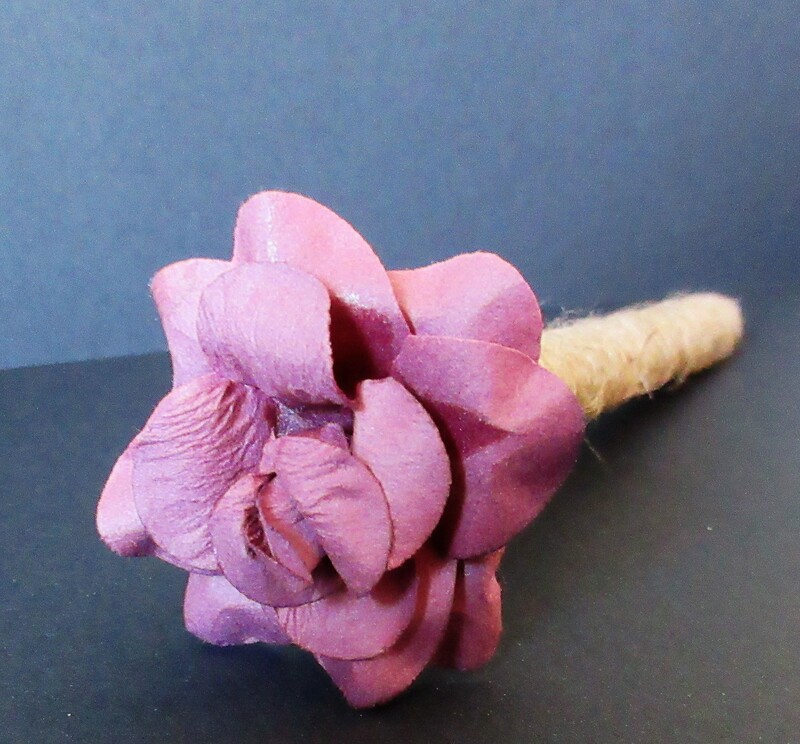 I received a Rustic Purple Flower Pen from Rustic By Marney for me to review. You may have read Melissa Marney’s guest post I shared yesterday – How Creativity helps me manage my anxiety and depression. Many of us craft as a way to manage our mental health like Melissa does. Crafting is extremely therapeutic and benefits ourselves and often others too with our gorgeous creations. Melissa creates beautiful rustic wedding stationary and gifts for her, hand making each beautiful rustic piece. I enjoy sharing products I love from small businesses where I can, especially when they make stunning products like this. As mentioned in Melissa’s guest post yesterday, she found it difficult to find exactly what she wanted for her own wedding when it came to stationary. She had always put herself down when it came to crafting but Rustic by Marney was born after realising she had a talent. 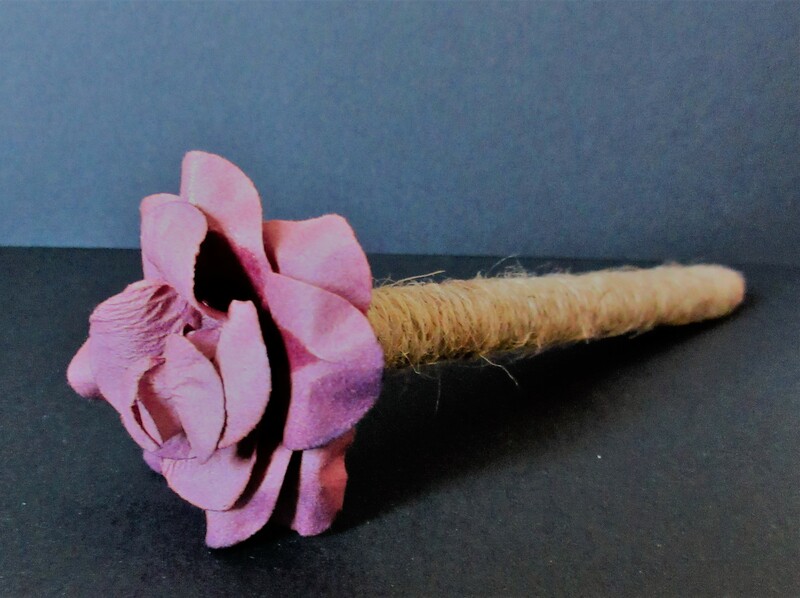 The beautiful rustic purple flower pen I received is gorgeously hand crafted. I love how the pen is gorgeously wrapped and finished with a pretty flower on top. It looks so pretty, both my girls have tried to ‘borrow’ it several times already! I love the shade of purple used giving it that rustic feel. Rustic Flower Pens come in a range of colours for £6.99. The rustic pens makes a lovely simple gift for her, a treat to brighten up your desk or as wedding stationary. Don’t forget to check out Rustic By Marney over on Facebook & Twitter to get in touch or see her other products. Feel free to send her a message if you have a rustic idea to run by her too, she may just have the perfect idea. What do you think of these Rustic Flower Pens? Would you like one as a gift or for your wedding stationary? Let me know your thoughts in the comments!